Pat Hickey is entitled to be presumed innocent until proven guilty. Intense media coverage of the humiliating arrest of Pat Hickey in his underpants coupled with our national love for a good wing clipping has sensationalised what is a preliminary investigation by Brazilian police into allegations of ticket touting by the Olympic Council of Ireland (OCI). Much of the Irish public are still head scratching wondering what all the fuss is about. Sure we've only started to do white collar crime over here in the last year with a few bankers behind bars. No doubt a few amongst us would like if An Garda Síochána took to the camcorder as enthusiastically as the Brazilian cops do. One way or the other its difficult to see how Pat Hickey's role as President of the OCI can remain tenable. 28 years as the head of any sporting governing body points to an unhealthiness in the governance of the organisation. It is well known in sporting circles that Pat is a formidable sports administrator and politician. His vote getting and longevity in his role as President has remarkable similarities to Fifa's Blatter. Is his term down to his political skills or the governance of the OCI? The OCI's board held a crisis meeting recently and appointed a crisis committee. The OCI has all of the hallmarks of a well balanced Board with some very respected names on board. However day to day goings on were obviously not within their sphere. The executive management within the OCI is where the granular knowledge of stuff like Olympic ticket re-sale lies. Minister for Sport, Shane Ross TD has a lot riding on the fallout of this debacle. He and his mandarins will not be leaving the OCI in its current form when the dust settles. Expect demands for governance restructuring, the removal of Pat Hickey and political appointments to the board. One thing for sure is that the tenure for the OCI president role will be time limited under any revised OCI constitution. Leman Solicitors advise sports governing bodies on good governance and are the specialists in Sports Law in Ireland. "If it turns out that wrongdoing has happened, I think people are intelligent enough to realise that what actually happened was that one or more individuals went rouge. 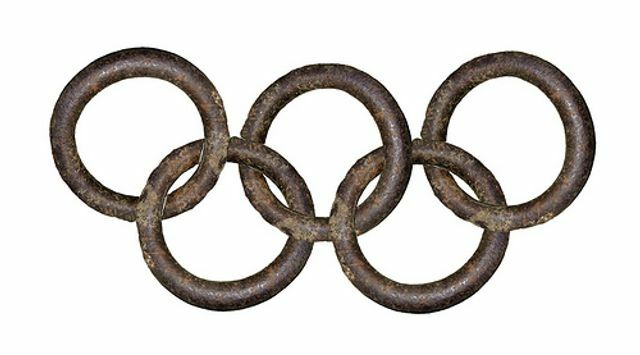 It wasn't that the Olympic Council of Ireland sat down one night and decided to get involved in ticket touting." "If this does go down and people are found guilty and there is some kind of clearout, that can be good for our reputation... Every now and again, both in society, and in politics and in sport there is one of these clearouts. Often it's for the best." As Mr. Hickey prepares to spend another night in Bangu Prison, O'Byrne feels his thoughts will not be on his public perception in Ireland.